« Thrifty Thursday: Santa shirts! But where is the snow? I like snow and sadly, there is no snow here! Hopefully this will change soon. Snow is very peaceful and calming. I don’t particularly enjoy driving in it, but I do like walking in it. I also like being tucked up inside while it snows outside. Something about snow gives me a much-needed pause. Oh, snow…where are you? The heat is on, though, so this place is super dry. My old humidifier broke and I broke down (har, har) and bought a sweet two-tank humidifier. It is so worth the money! 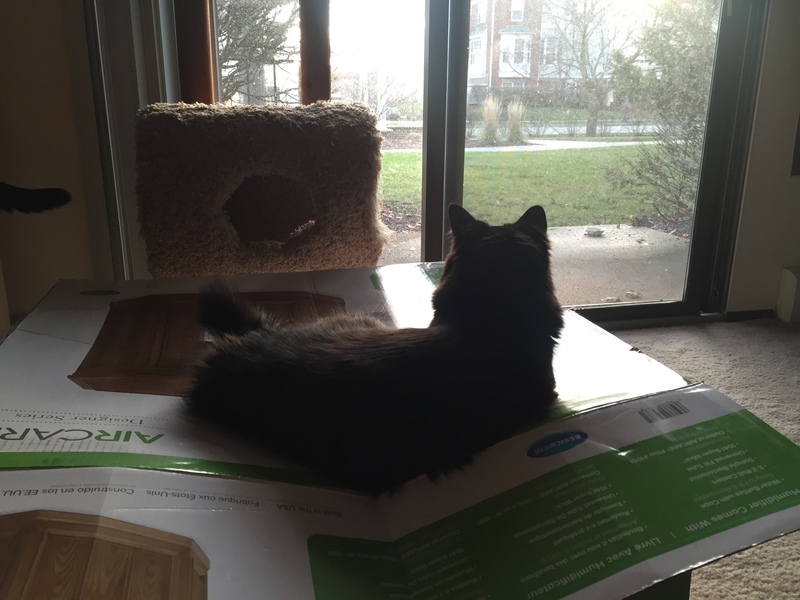 I’m loving the lack of static and weeks later, Grizzy and Sophie are loving the box. A win-win! There is something cozy about snow I will agree, but I am not looking forward to the bone chilling cold that we inevitably get.